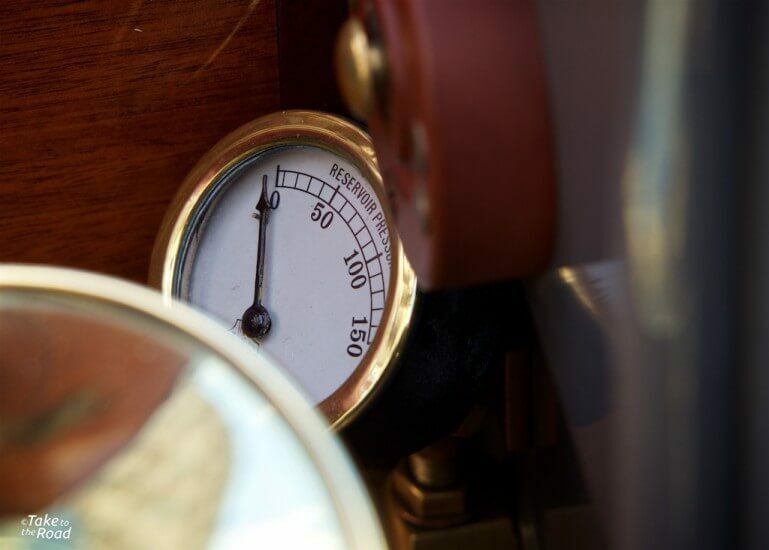 For classic car fans the onset of Autumn is a sad time of year as most of us prepare for the eventuality that is putting our pride and joy to bed for the winter. 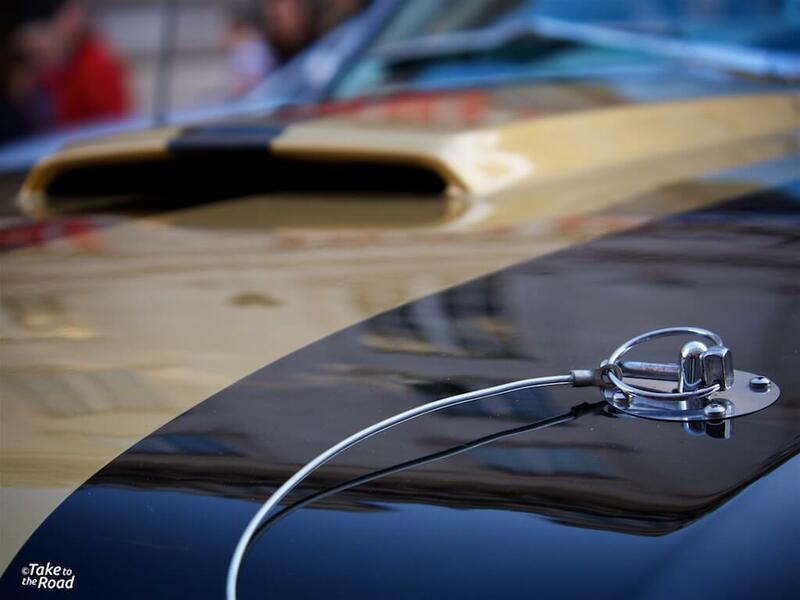 The classic car season may indeed be drawing to a close but there are still quite a few events taking place to keep us enthusiasts occupied. 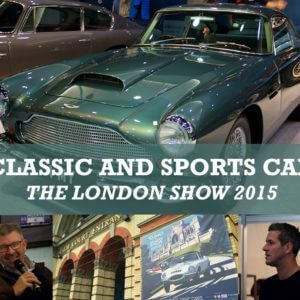 This weekend sees the opening of the brand new Classic and Sports Car Magazines “The London Show” which is kicking off at Alexandra Palace this Friday and runs until Sunday. There promises to be a great selection of classics on show with a few car world celebrities including Ross Brawn and Ant Anstead. 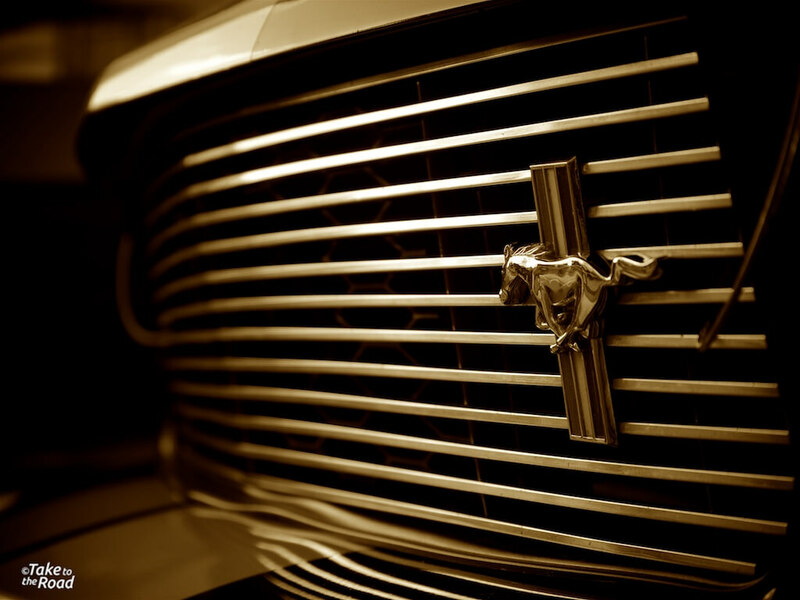 They will also be unveiling the Best British Car Ever. It will be interesting to see which one that will be. We think it will be the Jaguar E-Type. 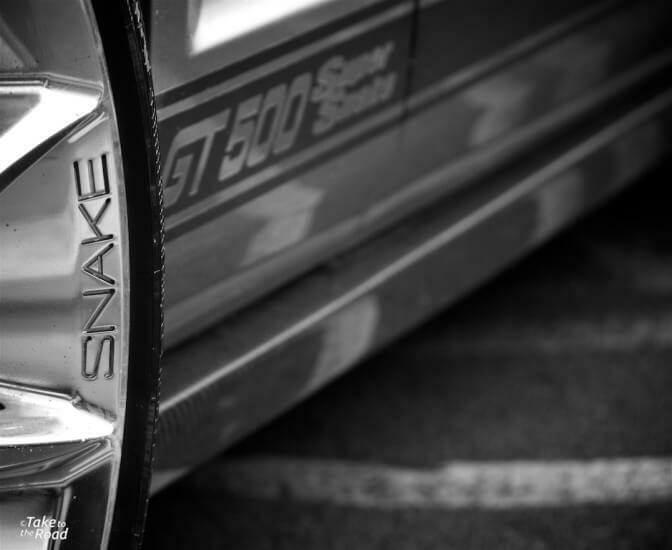 We are popping along to the show on Friday so stay tuned for some photos as we’ll be posting some after the show. More details “The London Show” can be found here. 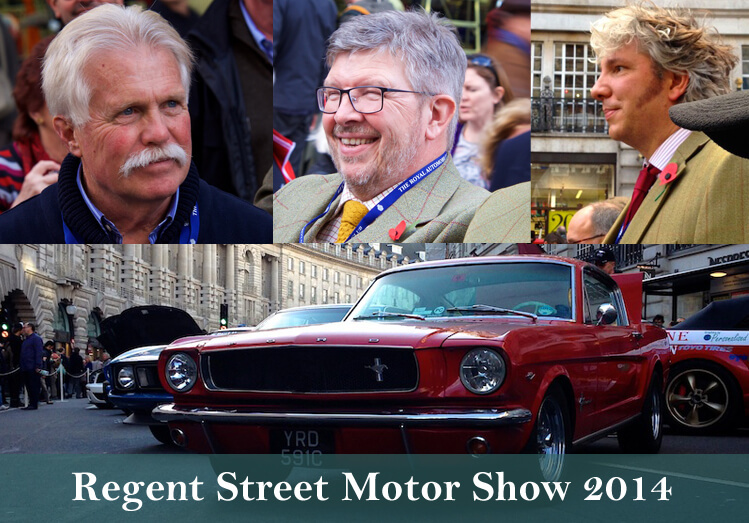 Also taking place this Saturday in the capital is the Regent Street Motor Show. 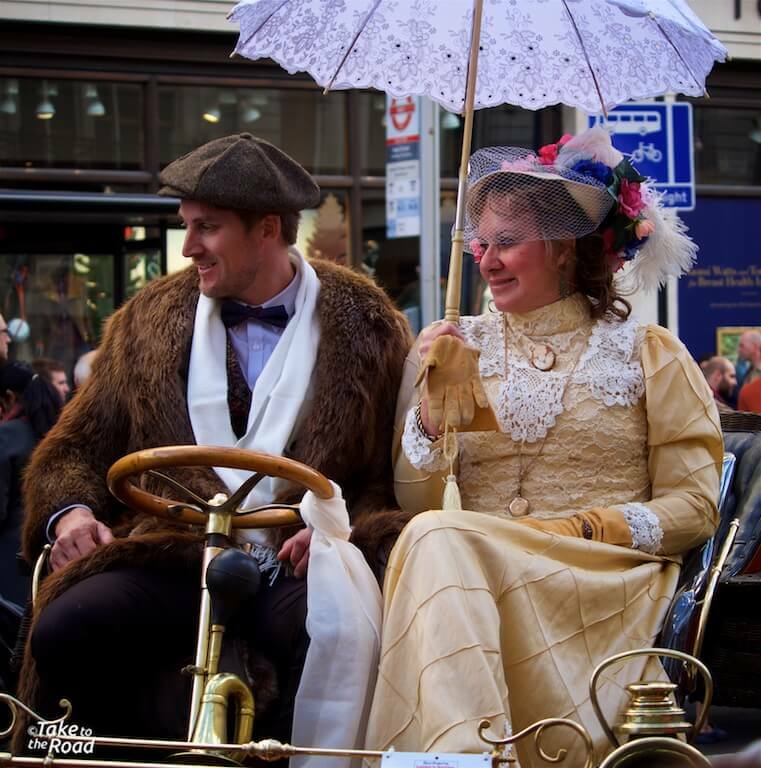 We attended the show last year and there was a fascinating selection of vintage cars on show, as this event is the warm up for the London to Brighton Veteran Car Run, which is taking place on Sunday. Highlights for this year include Bond’s new Aston Martin DB10 from the new film Spectre and a Caterham Car that will be built from scratch on the day. 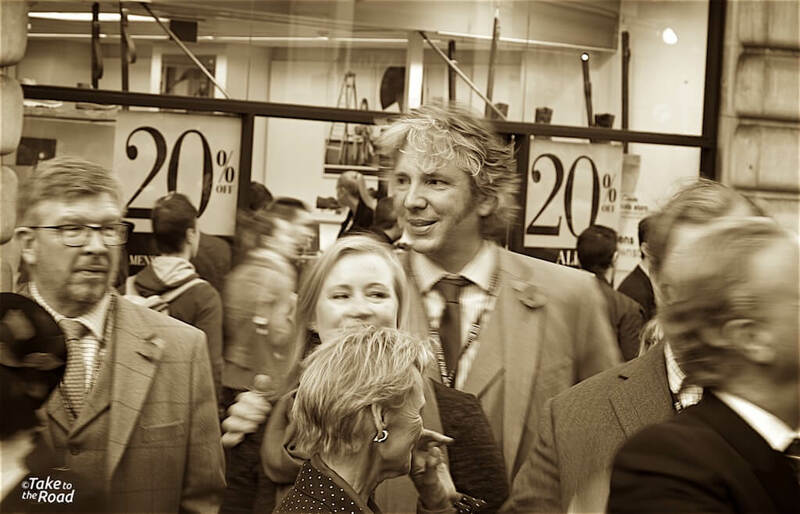 Last year we got the chance to meet Wayne Carini from the TV show Chasing Classic Cars and we also bumped into Edd China from Wheeler Dealers. 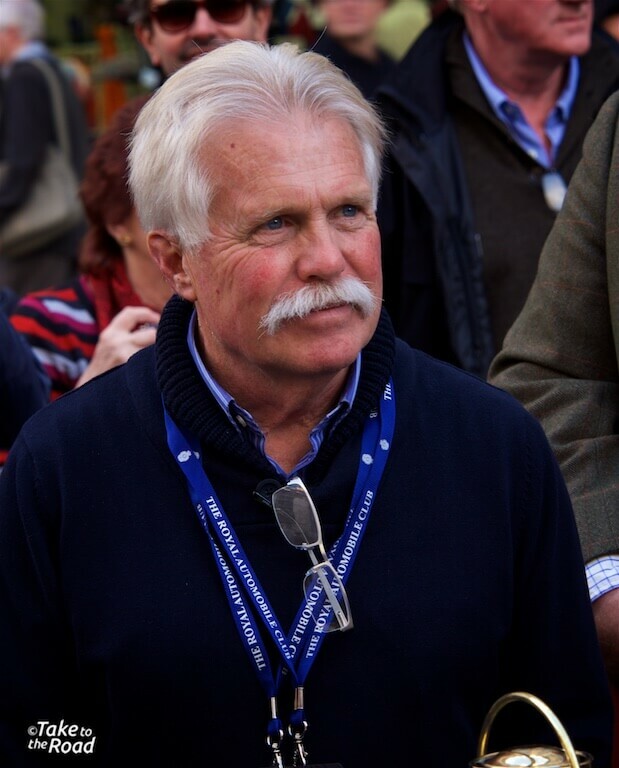 We’re popping along again this Saturday so it will be interesting to see if we will bump into any more TV car celebrities. 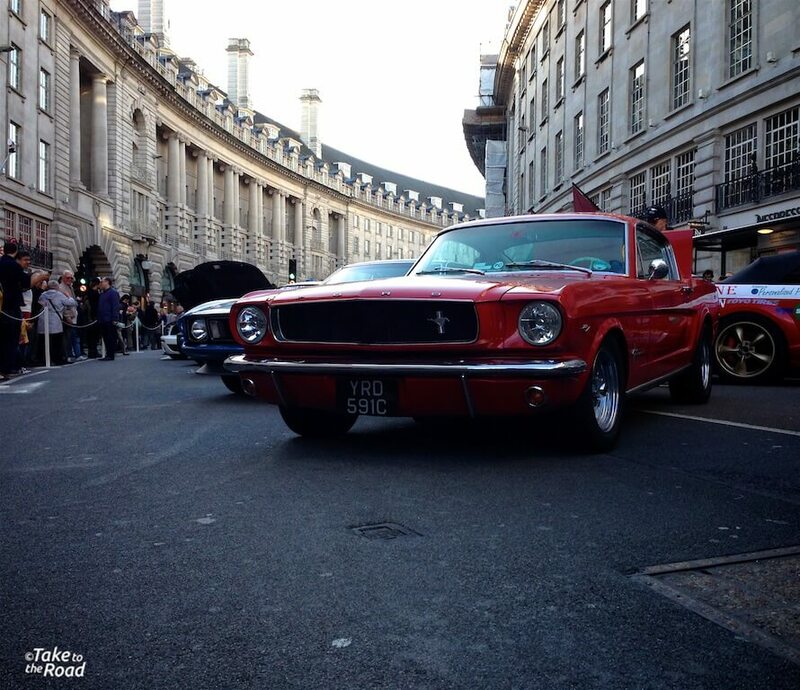 More details on the Regents Street Motor Show can be found here. After all that we might go and watch the start of the London to Brighton Veteran Car Run on Sunday morning. Its a bit of any early start that one but we’ll see if we can make it. So its looking like a busy weekend all round! Below are some photos from last years Regent Street Motor Show. Dressing up for the Veteran Run is just as important as the car with prizes given out for the best dressed drivers and co-drivers. We think this couple won. 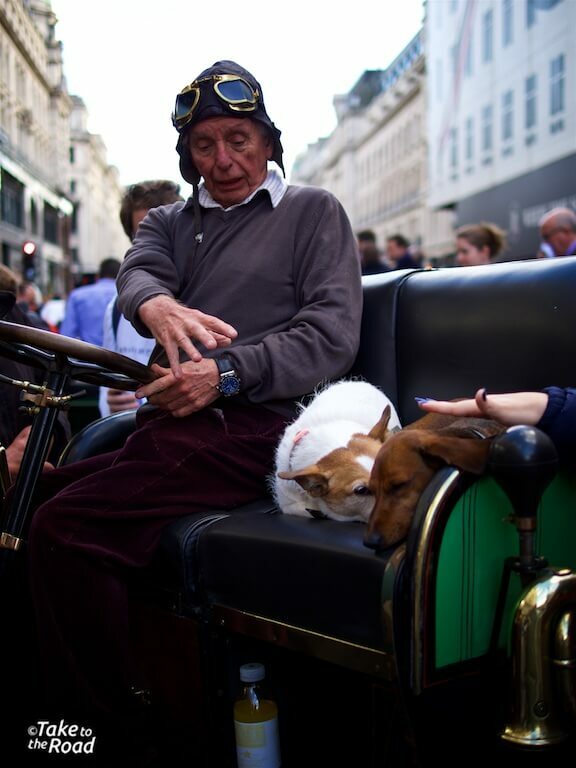 These two pooches had a busy day and were just as popular as the vintage car they were sat in. 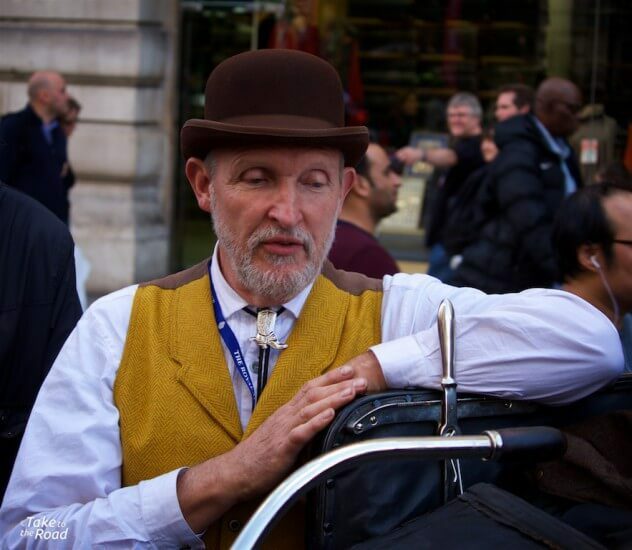 We approved of this gentleman’s fine bowler hat. Wayne Carini from Chasing Classic Cars. We had a quick chat with him and he was a really nice guy. 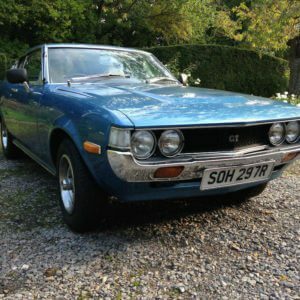 He took part in the Veteran Run last year but his car broke down a few miles outside Brighton and failed to complete unfortunately. 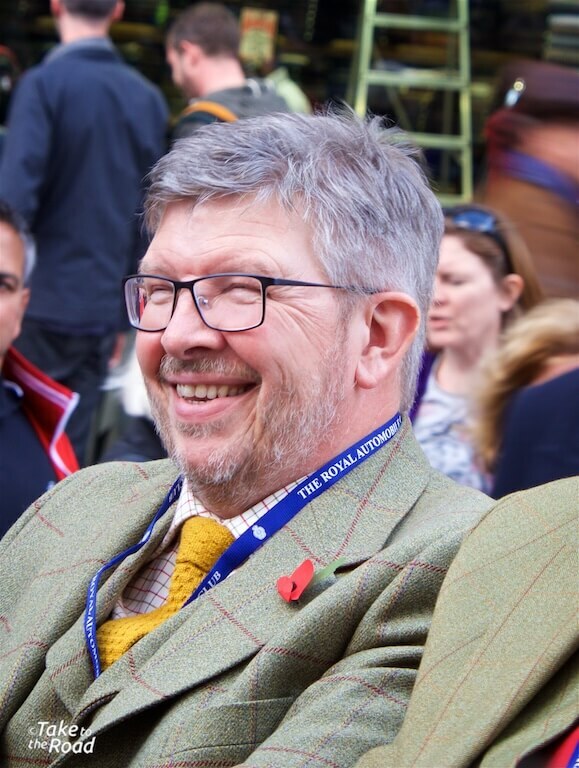 Former Ferrari F1 Team Principal and Brawn F1 Owner Ross Brawn was in attendance. 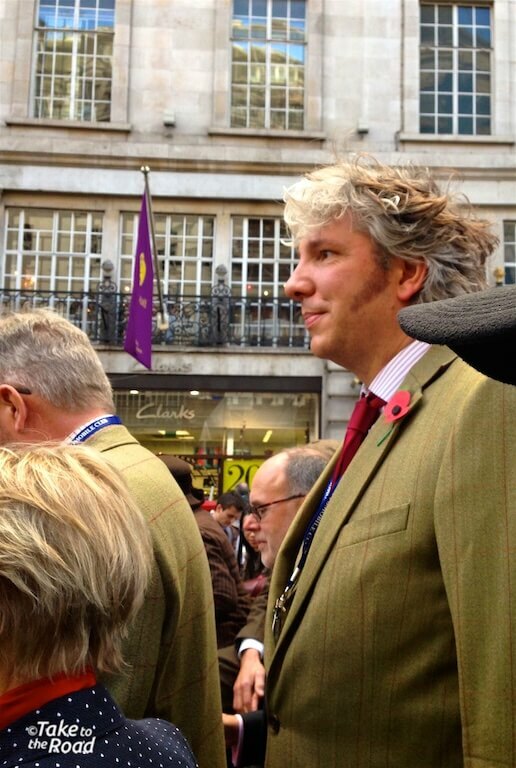 Edd China from Wheeler Dealers was there too. No sign of Mike Brewer that day. He must have given Edd the day off. Edd and Ross watch on as the Concours judges chat to the vintage car owners. 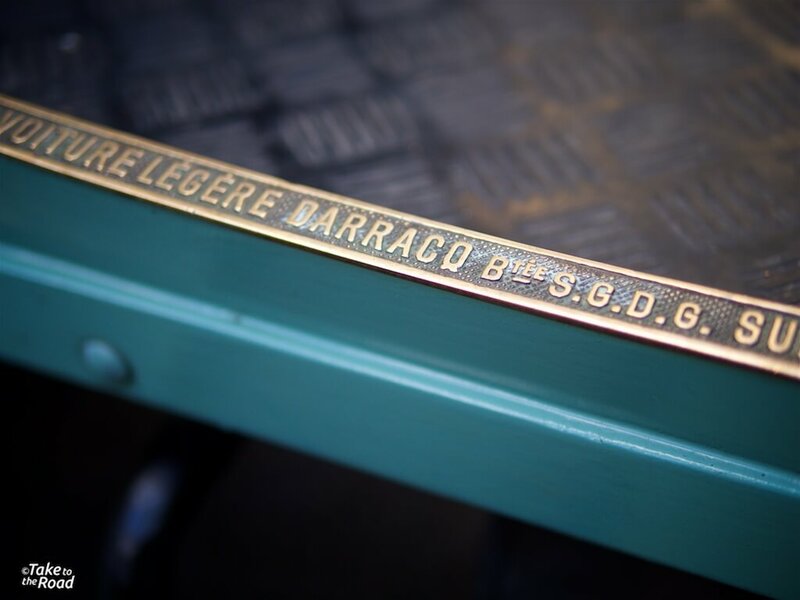 The brass name plaque off an old Darracq. 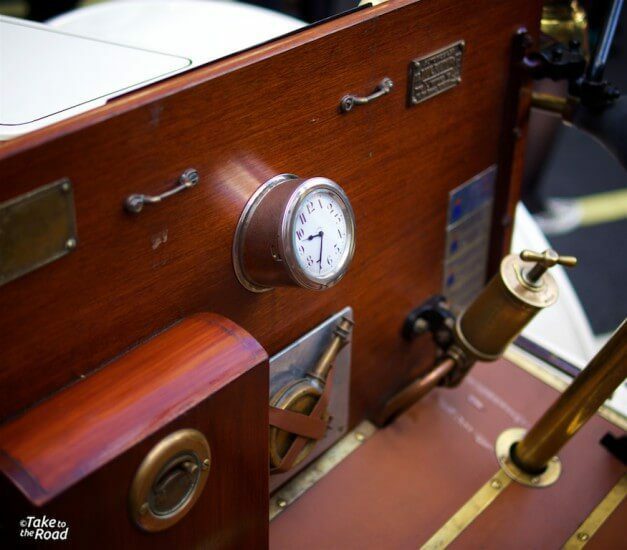 Nice and simple dashboard in this old vintage with a perfectly centered clock. Zero pressure at the moment but I bet it was under a lot of pressure on the run the next day. 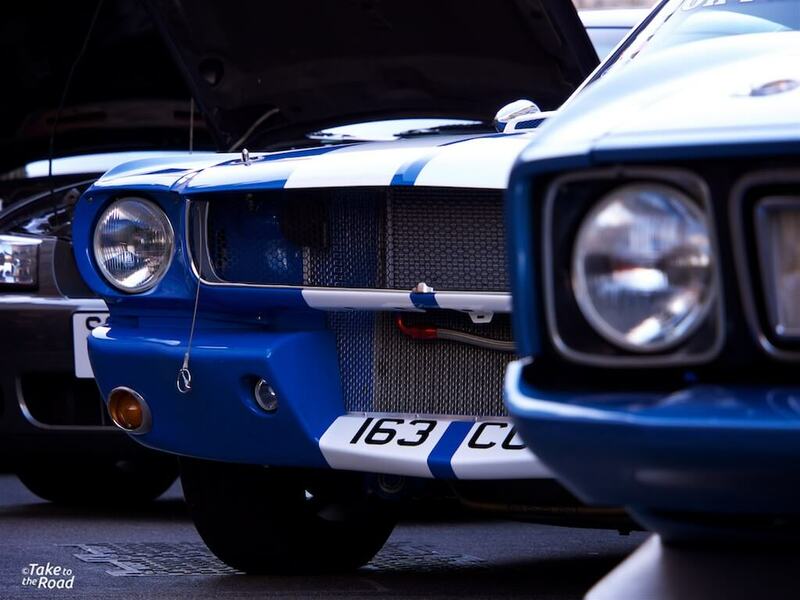 Rubbing shoulders with the old vintage cars was a collection of old and new generation Mustangs, including this nice Shelby GT 350 racer. A nice notch back Ford Mustang. A Mach 1 Mustang in the foreground with the Shelby and a new Mustang further on. All that power requires some bonnet clips. This Mustang GT 500 is a Super Snake edition, which is inspired by a special 1967 GT500 Super Snake made by Carroll Shelby for Goodyear Tires. 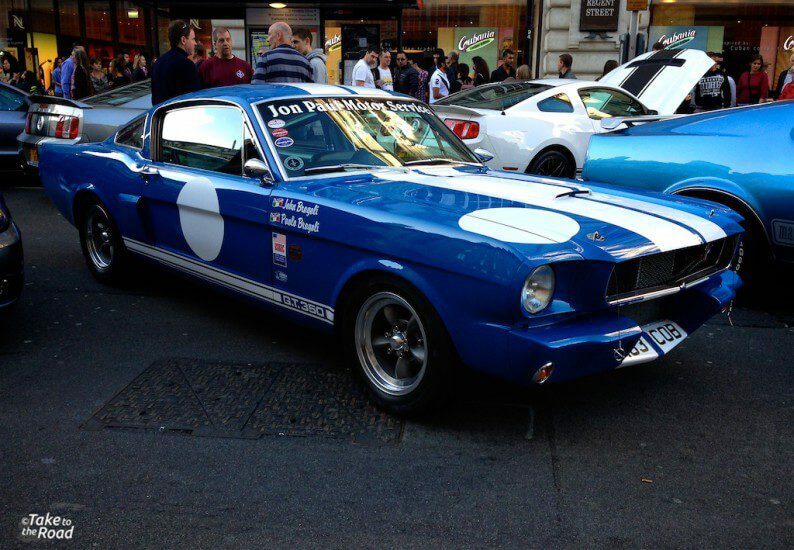 This one packs around 605BHP which probably far out weighs the combined horsepower off all the vintage cars on show.